These beautiful new shower tray designs from Wedi revolutionise the look of wet rooms and showers with an innovative wall drainage system that was proclaimed design product of the year. The Wedi Fundo Riolito Discreto is a specialist floor-level shower tray with a difference -a discreet draining panel means water feeds off from the bottom of the shower wall rather than a central drain, allowing you to choose seamless tiling throughout your wet room or shower. The Riolito Discreto wet room shower tray brings a new range of designs to the Wedi Fundo collection, with a simple attachment element that can be incorporated into a number of different situations – as a full wall panel, seating or storage area – matching perfectly with other Riolito floor elements. The simplicity of a wall drainage system means that there need only be one sloping direction for tiling, which allows the use of larger tiles without the need to interrupt your design with cuts or joins. The two-sided stainless steel cover offers further adaptability, enabling you choose between the brushed steel surface or tiling in order to give your shower room or wet room the perfect look. With its unique tilting system, the Riolito Discreto is also very easy to clean, making a potentially unpleasant job quick and painless! 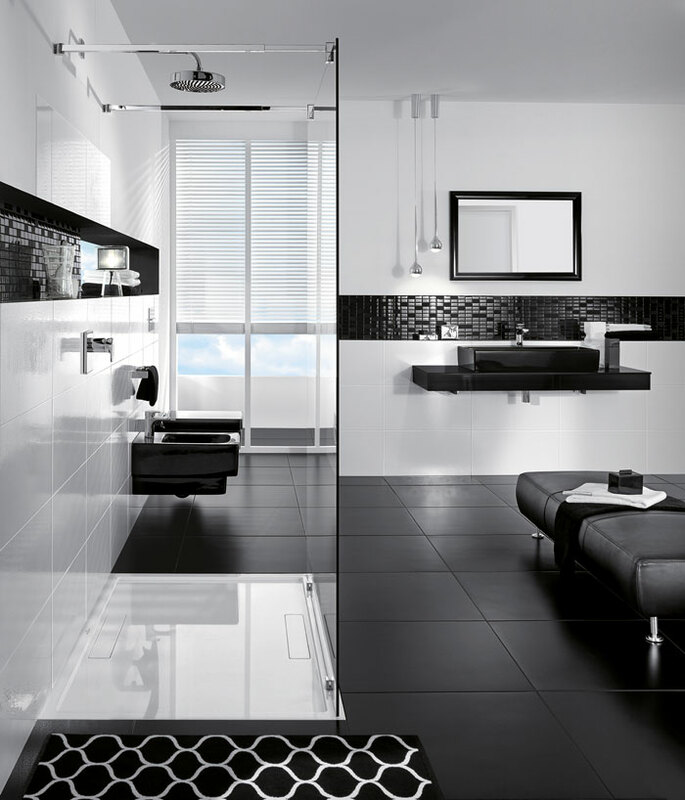 The innovation of the Fundo range is rated highly by trade professionals, architects and customers alike, with durable and aesthetically stunning tileable floor units, and reliable and cost-effective shower elements which help to produce top quality shower rooms, luxury bathrooms and wet rooms. Choose a Wedi Fundo Riolito Discreto wall-draining shower tray for your bathroom design to create a striking and seamless shower space. Get in touch with us at Concept Virtual Design for more information about Wedi products and for help designing your perfect bathroom, shower room or wet room. Villeroy & Boch’s new Legato bathroom furniture collection offers timeless and functional design to complete your luxury bathroom with a range of cabinets and vanity units. Perfectly coordinate your fixtures and fittings with the Legato range, suitable for a variety of styles and configurations. If you love minimalist design and seamless style, the Legato collection will work beautifully with your interior design. The understated look of Legato bathroom furniture gives the impression of space, cleanliness and lightness with ‘floating’ cabinets, handleless fronts, and clever LED lighting. 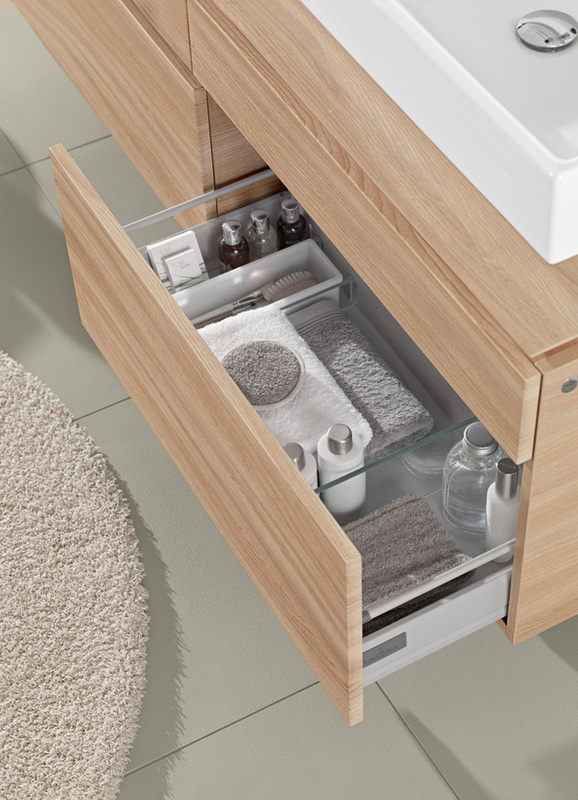 The vanity units can also be combined with surface-mounted washbasins from other Villeroy & Boch ranges, or stand alone to provide valuable storage space. Choose from a range of sizes, from 45-160cm wide vanity units to tall and side cabinets that will help you to make the best use of the space available. A luxury bathroom isn’t just about the bath, shower and basin – your bathroom furniture helps to create a tranquil and versatile space while reducing clutter and providing useful surfaces for seating, storage and display. For help coordinating your bathroom with the right furniture, let Concept Virtual Design’s exclusive interior design and setting out service find the perfect solution. 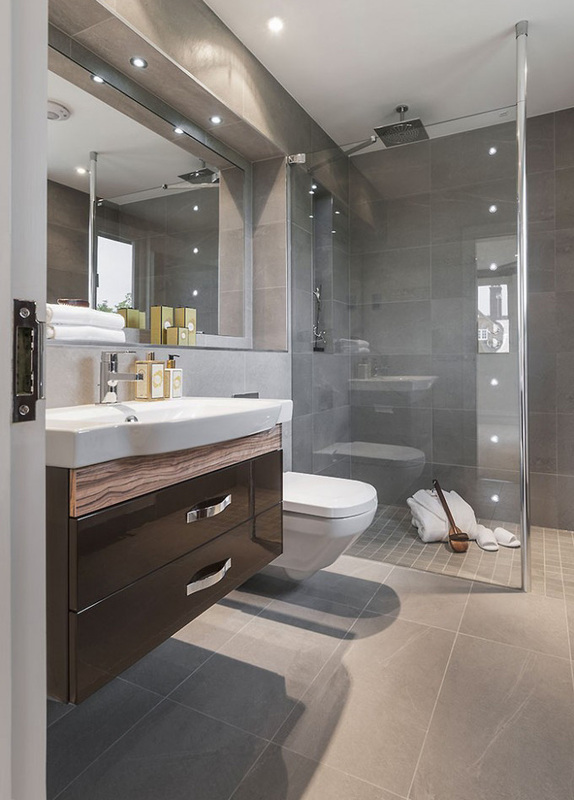 Wetrooms are a wonderful asset to any house, providing a sleek and practical option for en-suites, shower rooms or even as your main bathroom. Stylish and simple, wetrooms offer a calming retreat from busy daily lives and an aesthetically stunning addition to your interior design. 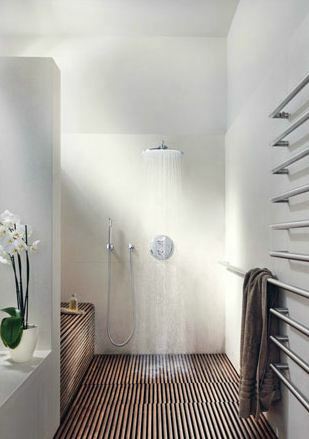 A wetroom is a watertight room, or section of a room, fitted with a shower. Because tiling is applied from floor to ceiling, there is no need for a conventional shower tray, creating a seamless appearance and a sense of extra space. 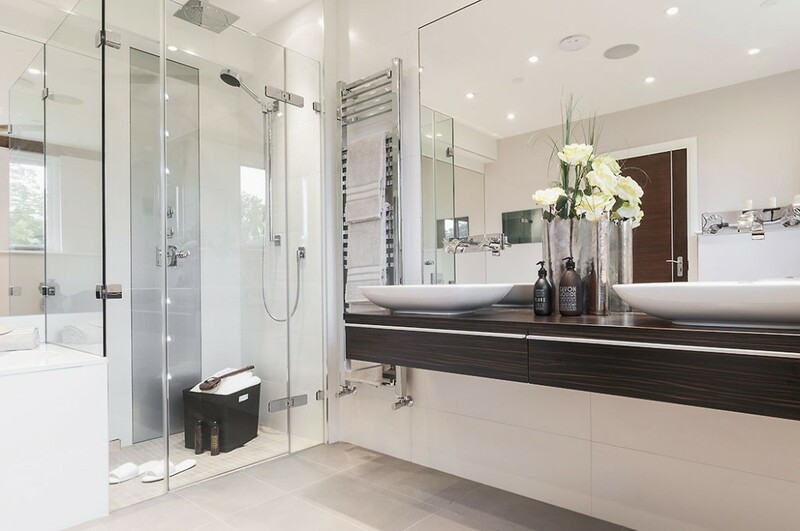 Sometimes wetrooms are placed within their own room (perfect for a smaller en-suite, for example), but often a wetroom is designed to integrate into an open-plan bathroom. This means that the shower area must be separated off using a screen or door – creative design can be utilised to find the ideal placement for this, using existing arches or thresholds between rooms, for example. The addition of a wetroom, shower room or en-suite to any house adds value to the property, and wetrooms have an air of luxury about them. This juxtaposition of exclusivity and simplicity is what makes a wetroom so aesthetically pleasing; the room itself is often Spartan but the fixtures and tiles make a statement with their quality and design. It is, of course, essential that your wetroom is watertight and ‘tanked’ so that it works efficiently and the rest of the room remains unaffected by the water. 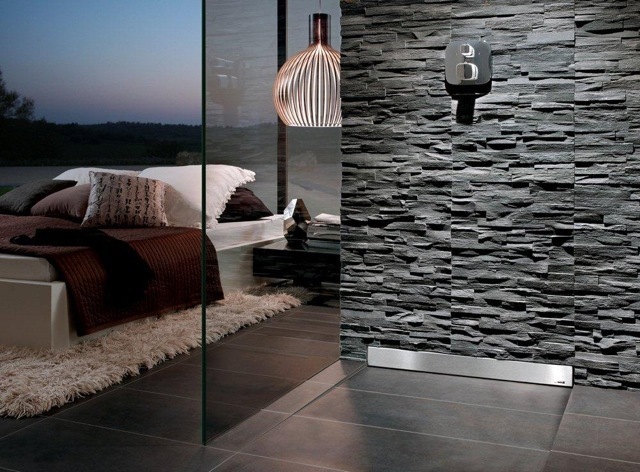 Tiles or panels can be used to create the walls, ceiling and floor of the wetroom, and the options are extremely varied, allowing you to choose the style, colour and shape that fits with your interior design. Use Concept Virtual Design’s unique setting out service to help you create your perfect wetroom, shower room, steam room or luxury bathroom.